Washington, D.C. – The House Committee on Natural Resources passed H.R. 6510, the Restore Our Parks and Public Lands Act and H.R. 502 today, which permanently reauthorizes the Land and Water Conservation Fund (LWCF). Idaho Congressman Mike Simpson has been a leader on both issues having introduced legislation to reauthorize LWCF and address deferred maintenance on our public lands. Congressman Simpson introduced, H.R. 5210, the National Park Restoration Act which would create a designated fund from energy revenues to address deferred maintenance in our National Parks. Congressman Simpson is also a lead cosponsor of H.R. 6510. In 2017, Congressman Simpson introduced H.R. 2863, the LAND Act, which would fund deferred maintenance projects in the National Park System, Bureau of Land Management, U.S. Fish and Wildlife Service, and U.S. Forest Service. The bill also funds and reauthorizes LWCF. Idaho Congressman Mike Simpson applauded inclusion of a fire borrowing fix and forestry reforms in the Omnibus Appropriations bill. Simpson has long championed a fix to fire borrowing having authored the Wildfire Disaster Funding Act which would treat wildfires like other natural disasters. The Omnibus includes the core principles of this bill by addressing the rising cost of fire suppression and a budget mechanism to provide parity with other natural disasters like hurricanes, floods, and tornadoes. The legislation also includes several important forest management reforms that will allow the Forest Service and Department of the Interior to accomplish more prevention and management, which also helps reduce wildfires. Specifically, the Omnibus includes a fix to the disastrous court ruling known as the Cottonwood decision that has resulted in vegetative management projects and millions of board feet being put on hold. Congressman Simpson introduced the Litigation Relief for Forest Management Act last year, which is bipartisan legislation that would resolve the Cottonwood case. Similar language was included in the Omnibus spending bill. The Omnibus also addresses support for rural counties by fully funding Payment in Lieu of Taxes (PILT) and reauthorizing Secure Rural Schools (SRS). This vital funding supports county budgets for the most critical of needs such as roads and schools. The National Park Service is by far one of the most popular federal agencies. Over 330 million visits were recorded to national park sites in 2016, generating over $18 billion in visitor spending to local communities and over 315,000 jobs. But NPS is over 100 years old and many its facilities are aging and badly in need of repairs. Currently the National Park Service has an $11.6 billion maintenance backlog. Their annual appropriation from Congress is roughly a quarter of that. 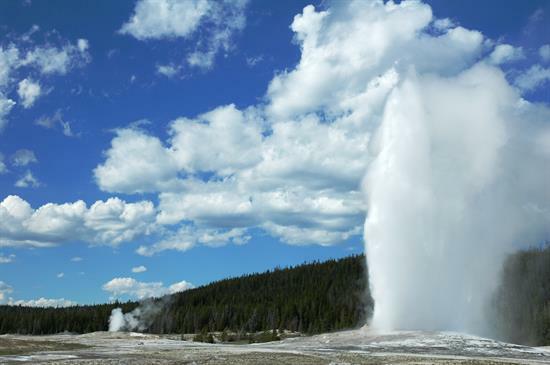 Idahoans love to visit Yellowstone and Craters of the Moon but they are not immune from this problem with $515 million and $7 million respectively in deferred maintenance costs. That is why Congressman Kurt Schrader (D-OR) and I introduced H.R. 5210, the National Park Restoration Act. The bill takes onshore and offshore revenues from energy production not designated for other purposes and directs the money towards deferred maintenance in our parks. This legislation has the potential to generate billions of dollars to address this backlog. The legislation is also supported by Secretary of the Interior Ryan Zinke and the Senate introduced a companion bill by Senator Lamar Alexander (R-TN) and Senator Angus King (I-ME). “Thank you for your leadership in developing the National Park Restoration Act, an important effort to overcome the more than $11 billion backlog in maintenance in our national parks. Roads, buildings, trails, campgrounds, water systems and more suffer from this accumulated problem – and visitor safety and enjoyment of our parks natural and historic resources are very real concerns." 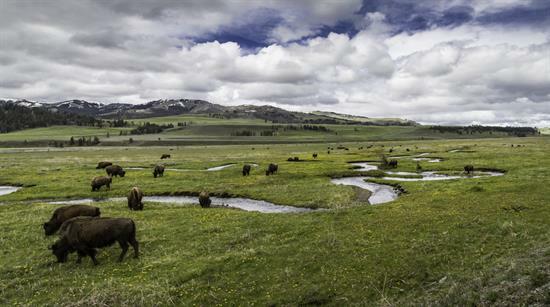 "In Yellowstone National Park, we have experienced an unprecedented increase in visitation over the past few years, exceeding 4 million visits for the first time in 2015. With a deferred maintenance backlog of $515 million, the park is working hard to keep its roads and facilities safe, clean and welcoming for our visitors and our employees. We applaud Representative Simpson, Representative Schrader, Senator Alexander, and Senator King for their efforts to support the National Park Service." U.S. President Barack Obama today signed into law Congressman Mike Simpson’s legislation creating three new Wilderness areas in Idaho. The legislation, The Sawtooth National Recreation Area and Jerry Peak Wilderness Additions Act (H.R. 1138), was signed earlier today in a signing ceremony at the White House.